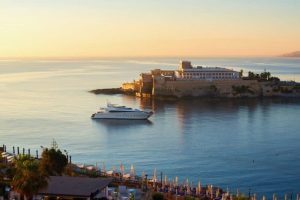 Here are the five best views in Malta, that you must ensure you experience on your next trip to the island. The kaleidoscopic reflections of the sun as it sets below the azure waters of the Mediterranean Ocean is a sight to behold. With its rambling coastline, there is no shortage of locations to enjoy a romantic sunset in Malta. 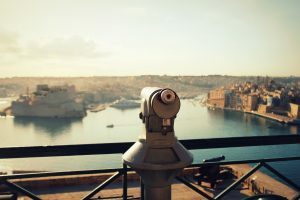 For the best sunset view, the walled city of Mdina offers a prime location. Not only is it a beautiful medieval marvel, it is also one of the highest spots in Malta, offering spectacular views across the entire region. 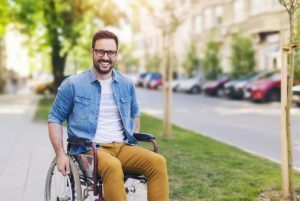 The setting sun can be viewed from plenty of places in the town, but the best sunset view is experienced from the al fresco terrace of the Fontanella Tea Garden. 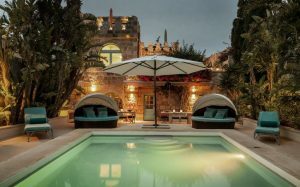 Not only does it offer exceptional views of overlooking the region, the ambiance over a traditional Ftira makes it an incredibly romantic location from which to watch the sunlight slowly fade with your significant other. Alternatively, if you prefer a more private setting whilst watching the sun disappear into the sea, head over to Ghajn Tuffieha Bay, where you can enjoy a romantic picnic for two as the sun disappears below the horizon as you list to the gentle lapping of waves in the bay. 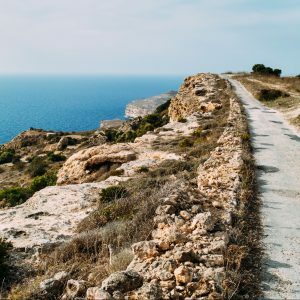 The Dingli Cliffs on the western coast of Malta is the ideal location for enjoying sweeping, unobstructed Mediterranean views. The cliffs stand 200 meters above sea level, offering stunning sea views as far as the eye can see. A walk along the clifftops allows you to take in some beautiful sights and sceneries, including the stunning architecture of the 17th Century chapel dedicated to St Mary Magdalene. On a clear day, you can see out to the islet of Filfla. This uninhabited rocky navel reserve was once used for target practice by the British Royal Navy. Although uninhabited, the islet is a stunning view from the clifftop that is steeped in history. For more of an urban view in Malta, the capital of Valletta offers great scenery. 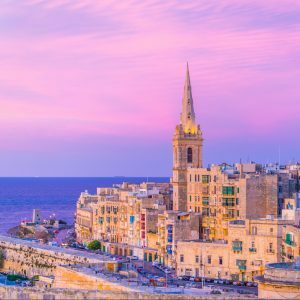 A trip to Sliema with a relaxing walk along the waterfront at Tigne Point offers great views of the capital. Views of the fort offer an amazing view for lovers of ancient architecture. 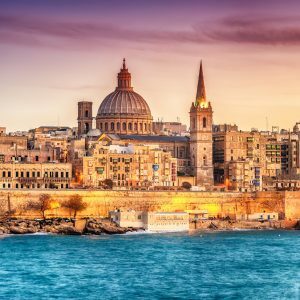 Over the water, grand museums, domes of cathedrals, Baroque architectures, church spires and gently fluttering flags offers one of the best views in Malta. The clear azure waters of the Mediterranean Sea offers some of the very best views in Malta. Standing on the coastline and looking out at the vast expanse as the sun glistens off the waves offers a breathtaking experience. Some of the best views can also be had from the on the water itself. Get the wind in your hair and the smell of fresh sea air in your lungs as you sail out and look back at Malta from the water. 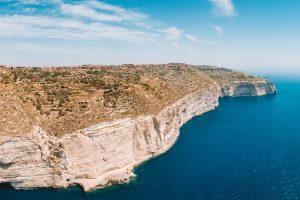 You can admire the islands surrounding Malta on a ferry between Malta and Gozo, or hire a Maltese water taxi to get you out to sea to enjoy the views. 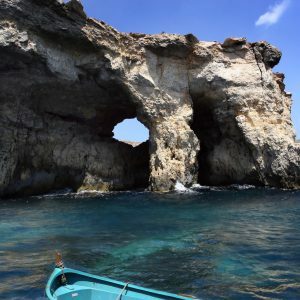 Comino Island is one of the smallest islands off Malta, and regular boat trips from the mainland offer a great opportunity to take in the magical views of the blue lagoon with its pristine white sandy beaches and turquoise waters. For the ultimate and unforgettable experience, consider renting a yacht. 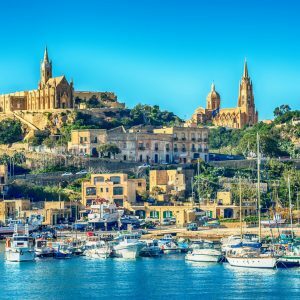 Taking a boat to the island of Gozo offers the opportunity to head over to the citadel. This fortress dates back to when the Bronze age, with ancient monuments and architecture that appears impressive from afar, but even better up close and venturing inside. 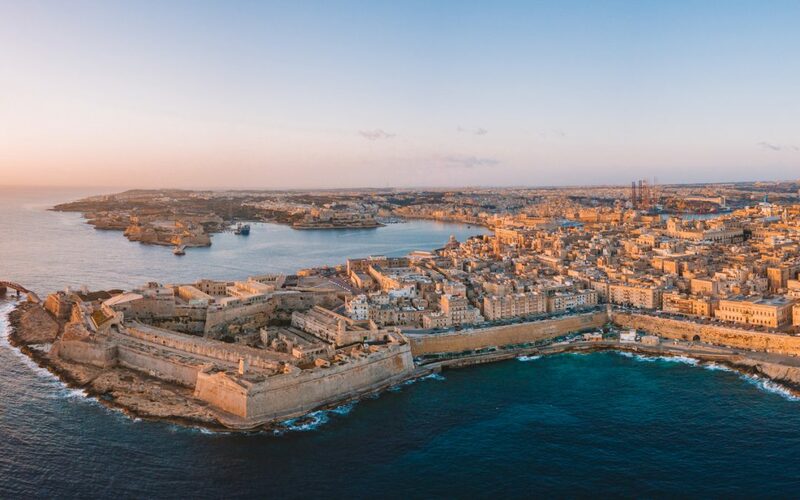 The Citadel offers one of the very best views of Malta, from the top, you are rewarded with a 360-degree panoramic view of the island, including the hills and valleys, and across the water to the stunning sight of Malta itself.